Hi, thanks for your info, I thought it was located there but I just wanted to be sure. oh and Nick the brochure says they have hair dryers. Also worth mentioning to you that they bathrooms have a small bath with the shower over, however there are no plugs, the rep advised us if we come to stay there the we take a plug is we like a bath. How silly is that. Hope my directions are ok.
CAN ANY1 HELP - I cannot get hold of the Ionian blue apartments, I have been calling and emailing constantly for past few months but knowone ever answers??? Has Anyone got any contacts? 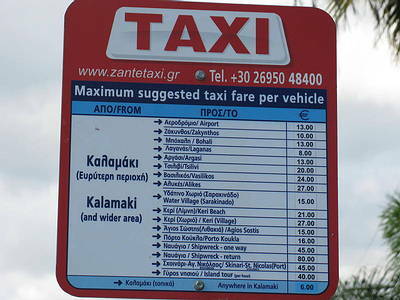 I know Kalamaki VERY well and I am driving from the airport but i just cant place it? Can anyone help. & do the rooms have hairdryers? ALSO.....with regards to Summer 2010 - I'm sure there will be a charge for Air-con and safety deposit boxes but most of the contracts havent been finalised so you will probably have to wait until the next edition brochure is out to find our OR you can email the hotel BUT dont expect a reply as I have been trying to email them for the past few months! Have booked to stay at the Ionian Blue in 2010 really looking forward to it. is included. If its not can one of you let me know how much each will cost me. Thanks. Only one word to describe everything about Ionion Blue - STUNNING. Just returned fromtwo weeks at the Ionian. You will not be disappointed. The apartments, grounds, bar and pool are beautiful. The location was for us perfect, a short stroll in each direction took you to beach in 12 mins, crazy golf in 3 mins, main strip in 5 mins and Laguanas 40 mins along beach. The rooms were cleaned regularly by the hardworking Poppy , our towels were changed 3 times each week and linen twice a week. The owners Dennis and Maria were not always around they seemed to be running the complex behind as well so the ionian seemed a little understaffed at times. The reception was unmanned all the time apart from flight days. Georgina in the bar had to cope alone manning the bar, food and reception (which is in a different building) at times . After a few days you get used to the slower pace of life and accept that you are not going to get served immediately. 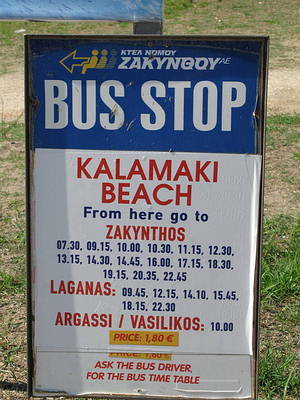 I would definitly stay here again on my return to Kalamaki. you do have to get up early to put out your towel out for the pool but it is worth it as it is a nice relaxing pool (most of the time). If I had to moan about anything it would be the utensils in the apartments, only one set of everything for each person and no sharp knife. My son broke a glass and it never got replaced, but so what he drank out of a cup and I had to scrape the cheese and muller the tomato the one day I made sandwiches, it so cheap to eat out it will not affect you. Even if you was on a budget you can feed the kids for a euro next door to the Rose and Crown. We bought some Rice Krispies for the room as we got tired of eating all the time. The resturants are fantastic - try them all. we stayed here for 2 weeks in May/June and enjoyed it. the staff were very freindly and the rooms were good. The maid was in once every 2 days at least and Georgina is a very hard worker! I liked it here except for a couple of things. Well, on the 2nd day of our 2 week holiday i asked the staff if they could fix our light on the balcony and they said that it will be done in the evening. in the evening it wasnt done so i asked again another day and they said they dont know when it will be done and by the end of the holiday it still wasnt fixed . overall it is good accomodation and great staff. Ionian Blue is a Thomson Hotel / Appartment, if you go onto Thomson Holidays web site 13/12/06 they do not appear to fly to Greece anymore! Thomson and thier parent company are announcing job lossess in excess of 4000 mostly in the UK. I do not know how this will affect holidays to Thomson sites in Greece but beware remember Farepack they may try to still book holidays with deposits and then collapse with no holiday and no money. If you do book then use a credit card and at least your money will be safe if not your holiday. I still want to go to this apartment in Zante as it was the best accomodation we've come across in 13 years so if I get any further information I will post it on this site. We have just returned from Ionian Blue, it was fantastic, great location. Clean well maintained and just fantastic. We have been visiting Zante for the past 17 years and this is the best place we have ever stayed in. Well done to all the staff. Super hotel, our room was great, very clean. The pool and bar area was really nice. Georgia works like a horse and always has a smile on her face.the bar food was especially good and very good value compared to others we have used.